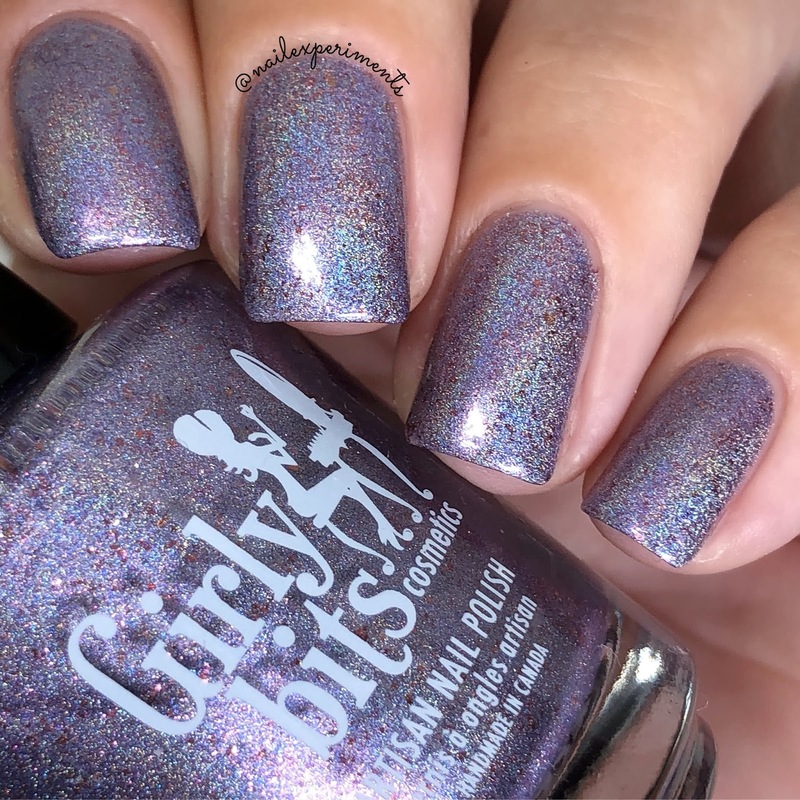 I've got my swatches and review of the Girly Bits Cosmetics Hella Handmade Customs exclusive nail polish for October 2018 - a continuation of the Harry Potter series! 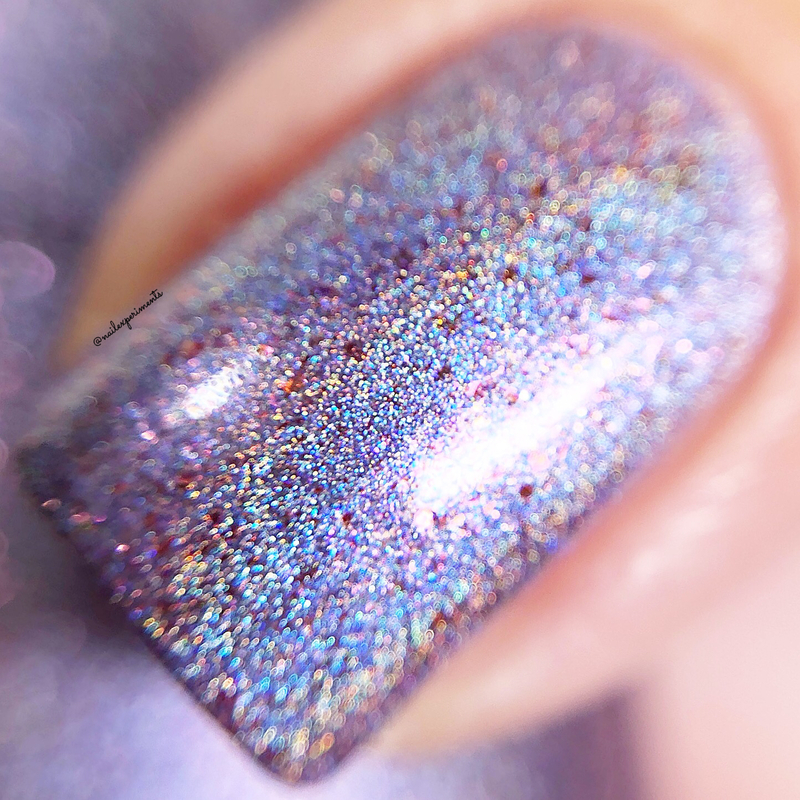 Celebrity Is, As Celebrity Does is a purple holo with pink shimmer and copper-red micro flakes. Inspired by Gilderoy Lockhart. 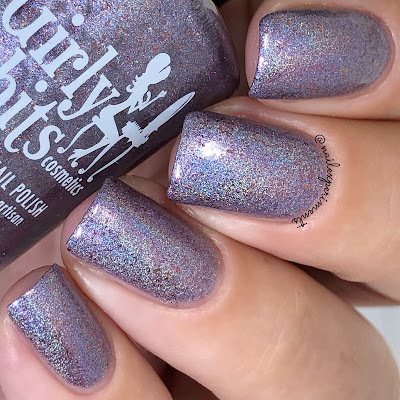 My swatches of Celebrity Is, As Celebrity Does is shown in 2 coats, paired with a glossy quick drying top coat. Celebrity Is, As Celebrity Does will retail for $13 USD and will have no cap. 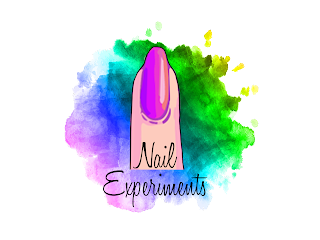 5 free, cruelty free and vegan friendly.